Please see our range of stock products listed below. All are available for purchase from our online shop, or through one of our distributors. 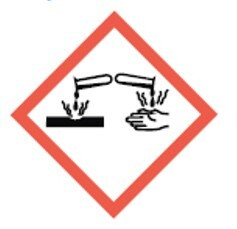 Cabinets manufactured to store corrosive substances as per CoSHH regulations in Great Britain. 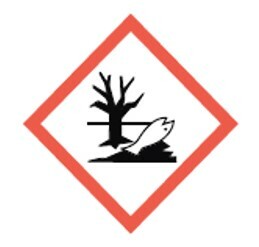 Cabinets manufactured to store general substances covered under the CoSHH regulations in Great Britain. 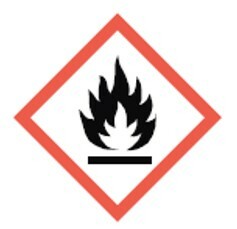 Cabinets manufactured to store hazardous and flammable substances covered under the CoSHH regulations in Great Britain. 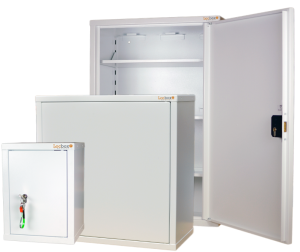 Cabinets manufactured to store pesticides and agrochemicals covered under the CoSHH regulations in Great Britain. 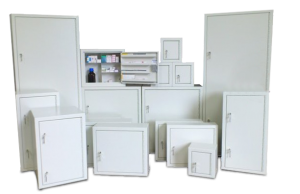 Controlled drugs cabinets manufactured to BS2881:1989 and the Misuse of Drugs (Safe Custody) Regulations 1973. Medicine cabinets manufactured to BS2881:1989 Level one. A comprehensive range of sizes and configurations available. 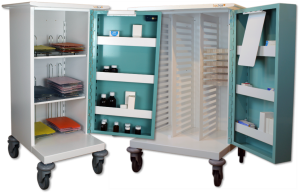 Quality metal MDS drugs trolleys manufactured to survive the rigours of a care home dispensing round. 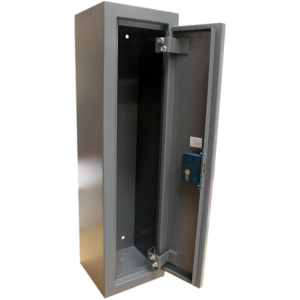 Police approved shotgun cabinets manufactured to BS7558. 100% success rate with Police Authority inspections for over 25 years! 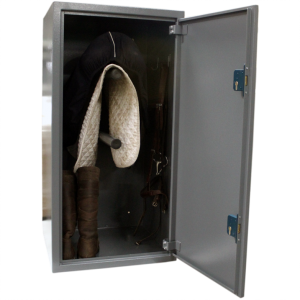 Saddle safes manufactured to offer additional protection to your tack and equipment. The construction makes them strong and robust and the finish applied makes them hygienic and durable. A comprehensive catalogue of stock and bespoke garage furniture systems. From personal and private garages through to main dealers, we offer quality, British manufactured solutions. Available in a wide range of sizes and configurations, in a huge range of finishes, the options to fit out your perfect garage are endless. Complimenting our catalogue of quality garage furniture is our commercial workshop furniture. Designed to offer commercial garages the storage and integrated work-space they require. Our premium range will perfectly protect and enhance the image of any garage or workshop. Here at HEC Showman we have a vast skill set and years of experience in shopfitting and retail metalwork. Whilst this still plays a big part in our daily business activities, we now manufacture a wide range of stock products. Our stock metal products cover a wide range of applications. 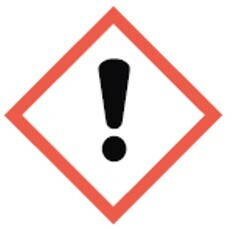 From CoSHH Cabinets, through to the UK’s largest range of Controlled Drugs cabinets. Over many years we have fine tuned our designs and built a reputation for quality, speed of service and market leading prices. All of which is now envied by our competitors. Although our stock range of products is predominantly cabinet based, our products cover a wide range of applications. They also cover a wide range of UK legislation.